Today was the final stage of the Abu Dhabi Tour and we are bummed we didn't have Rohan bringing home the overall leader's jersey. Aside from just missing some legs on the final climb, there isn’t much we could have done differently. The first 190 kilometers were flat, but the race wasn't that straightforward. There was wind again. Super strong and always changing winds, so despite riding on the front the whole day, we still got swarmed when fighting for position. The boys rolling the front did an awesome job, and it was up to Damiano Caruso and me to be there for Rohan on the final climb. The pace during the first kilometers of the climb was downright savage and I was quickly over my head. I did my best to close a gap for Rohan when I saw guys in front of us starting to explode and after that, I was pretty much toast. I was disappointed I wasn't there for him longer, but that was the best I could do today. I’m really looking forward to heading back to Girona, riding in some green mountains and hopefully continuing to build my condition. I have to say, a place races could improve would be streamlining the travel out so athletes can optimize recovery. Looking ahead, my next race is set to be Volta Catalunya, so check back for more race updates. Thanks for following along through this round! Today's stage of the Abu Dhabi Tour was my first ITT of 2018. I’m happy with my result (finished sixth) and how I rode and executed on a very flat and windy course against a strong World Tour field. I went into the stage with what I felt was a solid plan after seeing the course a few hours before. I opted to go without a radio so I could focus on my effort. The course wasn’t especially technical, but at race speed, wide-open corners and those sketchy cat-eyes require a bit more ability than the slower-paced recon indicated. The world champ started a minute behind me, so that lit a bit of fire and caused me to go out a little too quickly. On the longer headwind sections heading back to the finish, I definitely had to fight to hold on. I was super pumped to see Rohan pull off the big win and BMC Racing Team stack six riders in the top 25!! Such a testament to our collective preparation and all the support the team gives us behind-the-scenes so we can do our best. Tomorrow is the final stage and it will be brutal. We are doing 190 kilometers of flat racing in the windy desert before tackling a massive climb to finish it off. Clearly, the team is strong so it will come down to managing our resources and making our efforts count. I would love the chance to fight it out on the climb, but priority # 1 will be 'all in' for Rohan! Stage 3 of the Abu Dhabi Tour was another hot day in the desert with some massive roads. Basically, the only things I remember of note were a few camels and the Abu Dhabi skyline. After yesterday’s splits in the wind, the bunch was definitely more on edge today. There were a few moments of hectic position fighting and some aggressive wind riding, but it turned out to be defensive, and we barreled into downtown Abu Dhabi for a big bunch finish. At times, the wide roads were nice because you can always able to move up, but they also become dangerous and a little crazy when 150 riders can move back and forth in four lanes of traffic while going 50 km/hour. 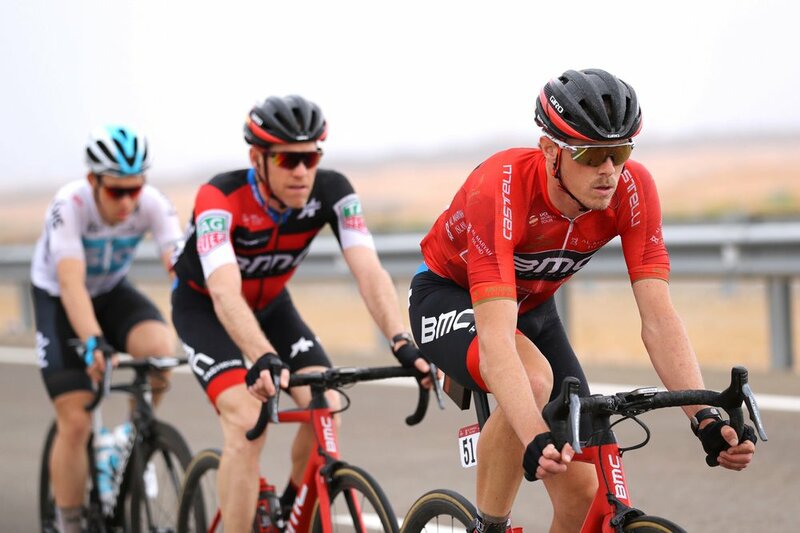 It never ceases to amaze me what we go through and how hard BMC Racing Team fights for a race to just come back together in the end. 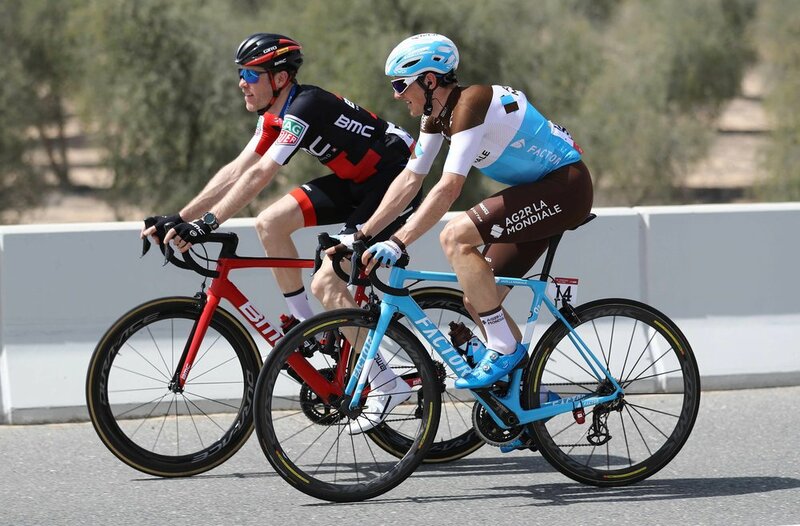 Stage 2 of the Abu Dhabi Tour was the perfect example of cycling being a sport that's all about timing and opportunity. You risk losing it all if you aren’t there but it doesn’t necessarily mean you gained anything when the day is done. Compared to the opening stage, today was “game on” racing. The wind was whipping up and we had many more directional changes, which kept everyone more alert. About 50 kilometers to go, it appeared everyone got the memo that there was a good chance for some crosswind madness so after doing an “out and back” on a man-made peninsula into the ocean, we bombed into a crucial corner at over 60 km/hour and almost immediately everything was blown to pieces. We were a bit caught out in the position fight and found ourselves quite far back. I put in an effort to move Rohan up as much as possible and he had the legs from there to get into the first split. Behind, we continued to battle the wind and groups continued to split. Eventually, we turned into more of a tailwind and things calmed down, which saw a significant regrouping of basically the entire peloton as we headed to the final sprint. 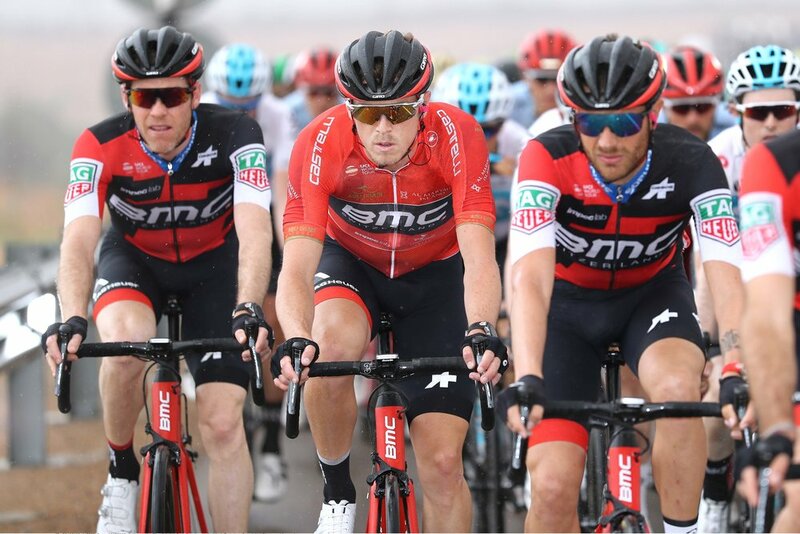 The opening stage of the Abu Dhabi Tour was about as mellow as a World Tour race comes. After the long trip here, I enjoyed shaking off the dust a bit and hopefully adjusting to the heat. This type of stage gives us the rare chance to chat with some of our peers. Early in the day, I got the chance to reminisce with Alexander Kristoff about our days as teammates at BMC Racing Team and other races we've overlapped at since then. To give you an idea about the stage, we raced 58 of the final 60 kilometers in a straight line. The big change was the two turns in the final 2 km. The course and wind were set up to yield a big bunch sprint, and there was never any doubt it would end that way. The headwind and fresh legs heading into these final bends made it pretty hectic, but we looked after Rohan the best we could and all finished safely in the bunch. While there wasn't much variety in these desert races, it was interesting to see some terrain variation relative to the other desert countries I’ve raced through in the past. The irrigation and solar systems are unmatched by anything I’ve seen before. And to cap off the day, congrats to Kristoff for notching a big win in his team's home race!